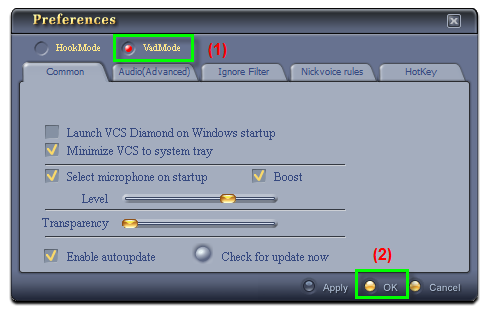 In this tutorial, we will show you how to change your voice in VSee for a funny voice chat with AV Voice Changer Software Diamond 7.0. You can change voice in real time, change voice male to female, robot, and many more. Open Voice Changer Software 7.0, choose the morphing effects for your voice, and make adjustments until you are satisfied with the output voice. 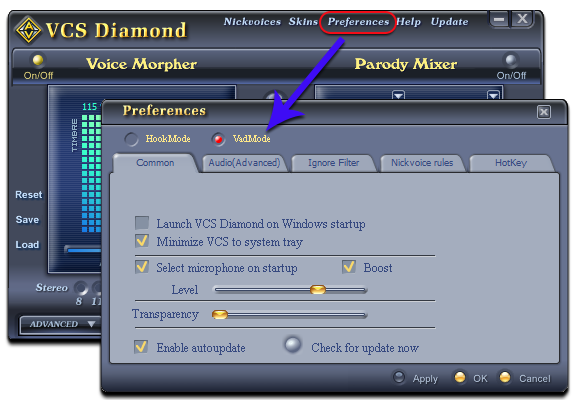 Or you can use the ready-to-use presets “Nickvoices” to change your voice in just one click. Run VSee, and log into your account. 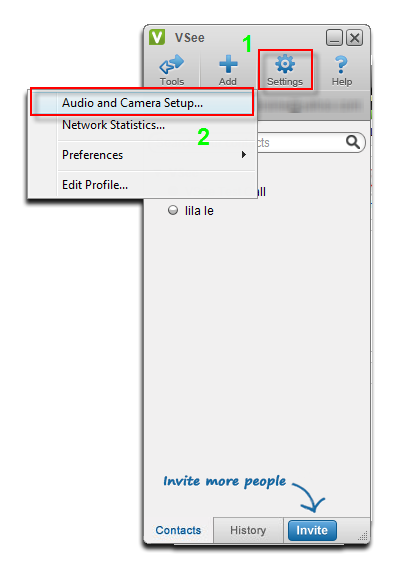 Go to Settings button (1), and choose Audio and Camera Setup command (2). 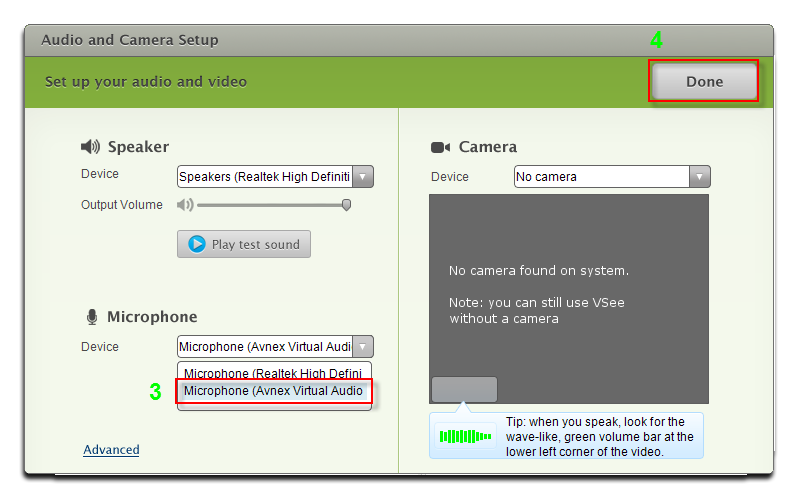 Select Microphone (Avnex Virtual Audio Device) (3) as Microphone output device. And now, it’s already time to show your new voices in VSee voice chat.